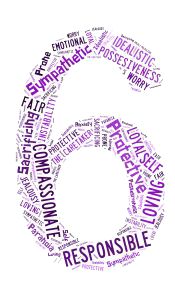 In this article you will learn what numerology life path number 6 stands for. If you are new to Numerology you can find an explanation to how you calculate your life path number at the end of the article. Keep in mind that life path 6 is just one of the numbers influencing your life. Even though your life path is a very important number that defines strategy of your life, there are a lot more keys, insights and knowledge to be discovered through the numbers in your numerology birth chart (see numerology reading). 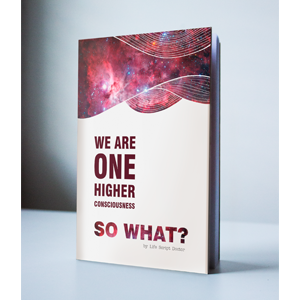 You are given a certain potential at birth and numerology numbers can help you better understand how you can realize it at its fullest. Numerology #6 is connected with balance, responsibility and love. Life Path Number 6 has a lot of energy of service in it. It holds the harmony between the macrocosms and microcosms. Some sources perceive numerology 6 to be the perfect number. The key to the numerology 6 life path number is love toward others in order to exist for others. Life path number 6 brings the energy of practicality, realism, materialization of harmony, craft and work in service. Numerology number 6 symbolizes the combination of higher divine with hard work on Earth. For many people with life path number 6 independence is impossible until initiative becomes their everyday habit. Most people with life path 6 have good connection with the animal world. Life path number 6 have to learn how to enjoy responsibility that was given to them and how to effectively fulfill it. They are given the ability to create comfort where it is needed and are good in supporting those who are weak. Many people turn to people with life path number 6 for help. It is important for people with life path 6 to know the difference between helping someone and interfering with their lives. Because they can see the harmony, people with life path #6 like to impose their thoughts on others. People with life path number six are often romantic, passionate and have the quality of motherly care. They often take responsibility for other people, even at times when it is not needed. They can try to sacrifice themselves in order to take care for others. For people with life path number 6 family and friends are often main interests in life. Life path 6 need to hear compliments and feel that they are bringing value to others. Negative qualities of people with life path number 6 are: as a matter of fact, there are not so many negative people with life path #6. However, they can become slaves to the needs of others and that can stray them away from realizing their true potential. Their readiness to sacrifice themselves could lead to becoming a masochist. They can fall into too much worry and even get sick when they feel pessimistic about what they do. They do lack aggressiveness and they fear conflict even when they need to fight for their survival. Many people with life path number 6 lack self-confidence and often avoid hard tasks. They need to learn how to overcome their inertia and passiveness and never lose their individuality. People with life path 6 need to learn how to love themselves, not only to give but also to receive. Professionally, people with life path number 6 are good in business related to servicing others (home business could also be an option for them). Numerology #6 can attract money, but often money comes not for their own needs but for the needs to serve others. People with life path 6 first need to make sure that everyone else is ok and only then they begin to think about themselves. Because of that, they could blame their passiveness on others. They can often create problems when in reality it is just the fear to manifest something. If there is a choice for a calm and peaceful life, people with life path number 6 would go for it. They often have good artistic skills and can be quite good in music, dance, art, design and fashion. People with life path number 6 are perfect subordinates and executives. They can be fair bosses, but could be too critical to others due to their desire of perfection. They are often very careful in investing money since family is often top priority for them. The main desire of people with life path number 6 in relationships is to love and be loved. If they are betrayed, they lose ground under their feet. Life path 6 often have idealistic view of their partner which makes it hard for them to find a partner for life. However, if they find a partner they are very deep and committed. One of their top priorities is to create a comfortable, warm, secure and cozy house where everyone could enjoy harmony and good food. Life path number 6 is good in relationships with other #6 as well as people with life path number 2. Life paths 3 and 5 could be problematic because they strife for active life and don’t like the control that life path # 6 could bring. Life path 4 and 6 could work, however they have a very different understanding of what love is. Life paths 1 and 8 would begin to care for life path 6 which will not allow #6 to fulfill their need to care for their partners. Union of number 6 with life path numbers 7 and 9 could work, but it will not be an easy one. many many thanks for sharing a very helpful article about numerology. this content is very helpful for me. I know much more things about numerology on this artical. Lol this is kinda creepy but so true about me!! Yes, good information. Wish it were a little more positive. Oh my describes me to a tee. At age 61 years old now. was in a very long term marriage to the wrong person who left me, just knowing that all I ever wanted was a good family home, could never be mean to anyone, always giving, children that I nurtured and still do even as adults and many times feel alone, abandoned, this article was a good analysis of me. After finding out late in life, 4 years ago that I had been adopted, didn’t have a good relationship with my adoptive mother, ran away to escape her abuse and joined the Navy, all I ever wanted was to be loved and love back. My being a #6 makes me validate my being: soul, spirit and heart. Thank you.